Yep, last month Rizk Casino held a special promotion in our forum where the winner would be flown to Malta, housed in a five star hotel, and given a tour of the offices of Rizk, Guts, and Betspin casino (all three casinos score +9 points at Casinomeister). This contest was unprecedented – and it was a brilliant idea. The main purpose of this contest was to not only provide one of our members with a truly memorable experience – one he can remember for his entire life, but it afforded the casino the opportunity to give everyone – all of our members and visitors – a glimpse behind the scenes of their operations. 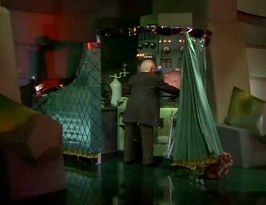 Pay no attention to the man behind the curtain? Surely this would prove to be a highly informative and enjoyable visit. Nikantw was the lucky winner. The folks at Rizk flew him in from Greece (along with his brother) to the sunny, but windy, island of Malta. The two admittedly didn’t get out much – not too much traveling under their belts, so Malta was an awesome experience for them. Something I’m sure they will never forget. For you newcomers, Malta is the central point in the EU for the online gaming industry. Just about all of your software providers have their main offices located there, and most of your casino operations are based in Malta. There may be a few casino ops situated in Gibraltar, the UK, or South Africa, but these are the exceptions. If you are a European facing casino, most likely you’ll be licensed by the Malta Gaming Authority and wearing shorts and flip flops for most of the year. Yeah, Malta is a great place to chill out. You can tell by the way people drive – it’s like they encourage you to drink a few pints before getting behind the wheel. 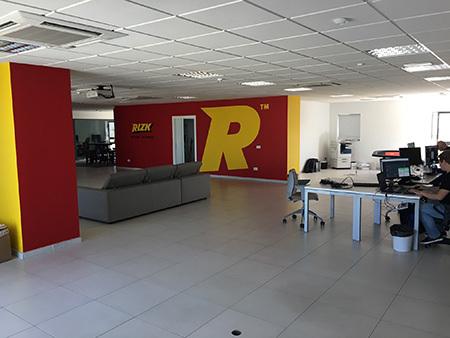 Before visiting the office or Rizk, I had initiated a thread in our forum where the members could pose whatever questions they had about Rizk, and anything else related to the online gaming industry. So we actually had some work to do. Rizk Casino is a member of the GiG affiliates – over watched by Gaming Innovation Group. 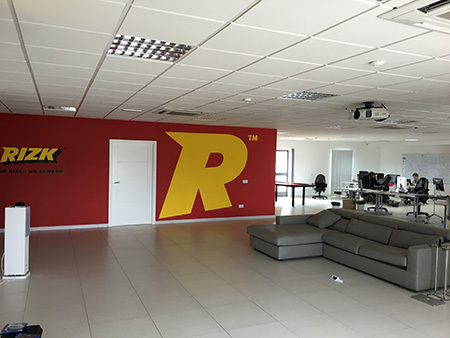 Rizk has its own separate office from GiG – which hosts the offices of Guts, and Betspin. For the first half of the day, we were at the Rizk office. Rizk Casino is a relatively new casino – and the office was just recently furnished and moved into – they weren’t quite done yet. Sparse and airy, and a nice quiet working atmosphere. Our guide, Tim, explained that it becomes more populated in the late afternoon/evening when they boost up the customer service team. Since their operation is mainly european focused, most of their players start pacing bets after work and into the evening. We met and greeted a number of the employees, and then we situated ourselves in a nice conference room adjacent to an awesomely massive balcony that was equipped with a gas grill and outdoor comfy lounge furniture. The weather in Malta is grill worthy. But no grilling today. We had work to do. Tim began by giving us a presentation on how slots work – and he did a bang-up job. For those of you who don’t know, slots have a fascinating history. Your typical three reel slots were first introduced to the casinos years ago as something for the women to do while the men played at the table games. Keeping the men at the tables for as long as possible was the primary mission. Keeping the women happy was instrumental on making this happen. No one took slots seriously until slots were actually beginning to out do the table games. Over the years, slots evolved into the slots that we have today. And what we have today “online” pretty much mimics what we have offline. This was only a pipe dream a decade ago, but with the introduction of proper streaming and other technological feats of ingenuity, online slots can pretty much do whatever their offline brethren can do – if not a bit more. Tim segued from there and explained how the gaming software functioned in relation to the online casinos. Most online casinos are hosted separately from the software providers. The gaming servers are separate from the casino operations. 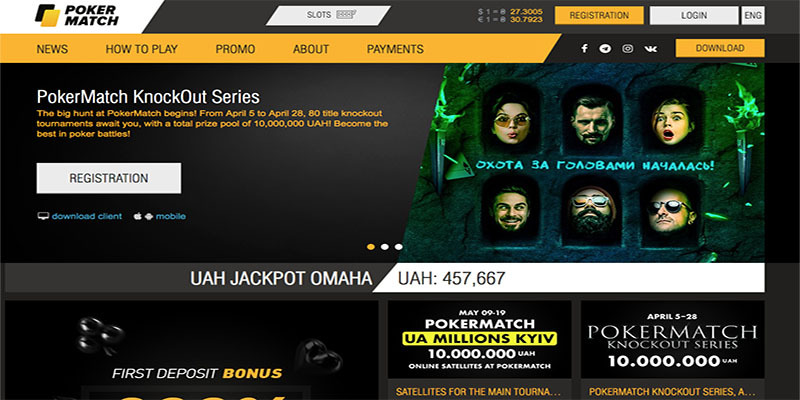 The casino operations consist of the administration, the general management, the marketing, the customer service, the website hosting, graphics, and other innovative departments. The games are hosted elsewhere – usually by the games provider. So for those who don’t feel lucky at one casino and move elsewhere to another casino that hosts the same games – that won’t make any difference. These are the same games with the same odds, the same RTP (Return to Player), i.e. the exact same chances of winning or losing. FACT: There is no such thing as luck. “Luck” is when you take statistics personally. Q: Why do they charge players extra to deposit and withdrawal (when the vast majority of other casinos don’t)? Why can’t they let players have at least 1 free deposit & withdrawal per month? How many players do you think are put off by these seemingly unreasonable charges? CR: There are a number of reasons for this. Firstly by no means do we pass on all costs to our customers, we absorb around two thirds of the costs ourselves and we there are no charges for deposits through e-wallets (Skrill, Neteller). As with most things it is a balance between the costs that we incur and the rewards and bonuses that we are therefore able to provide to our customers either through the Wheel of Rizk, ad hoc bonus campaigns and No Deposit Free Spins that we offer at various times. We are constantly reviewing this and I think that there will be some changes moving forward, as these are agreed I will notify the CM community. Q: Is captain always wearing that superhero suit in Office ? CR: Yes. It is only removed after midnight following multiple barrels of beer?. Q: What was interesting was to be told where they had their servers and who had access to them. Was it possible to manipulate the games? Who had access to all our data? We hear stories of them getting stolen and sold. How big is a normal sized casino, how many in staff, how many are playing at the same time? CR: All personal data is held on a central server, that complies with all software, hardware and procedural regulations laid down by the MGA. Everything is tagged both physically and electronically so that there is fully auditable logs of what happened, to what and when. Certain data is not even visible to employees, such as passwords which are hash encrypted so that absolutely no-one, other than the original customer, ever has access to this. Furthermore when you play a game, zero personal data is sent to the 3rd parties other than an anonymous Account ID and Country code for regulatory compliance reasons. In terms of size there is no “normal” size but there is definitely a correlation between number of customers and therefore deposit amounts and staff size. At Rizk we are a relatively small team right now but growing extremely quickly and have staff based in 5 different countries covering a variety of marketing, operational and technical tasks. Q: When someone wins big do they get alerted? Does an alarm go off? And then they pull the kill switch lol? CR: We wish (JOKE)!! The answer to this is a definitive no. Obviously we have real time data dashboards that monitor a number of important KPI?s such as deposit amounts, withdrawal amounts, gross gaming revenue and bonus costs and generally we can tell when the KPI?s are not where we would expect them to be and will therefore check into why. Realistically though most players will experience winning and losing streaks through a play session and it is actually only when they process a withdrawal that we can conclude that they have either won or lost. Q: If I were to win a trip, could there be a cash settlement in lieu of? CR: Sometimes yes and sometimes no. It depends on the trip, our preference is that players take the trip because it is then a tangible experience for them that they can remember for a long time – such as Amourgirl’s trip to Rio for instance. There was no cash alternative for that trip as we had already reserved the house on the Copacabana beach etc. CR: Not sure what to say here Dave other than “yes” as proven by the £5 free money which is in effect 100 Free Spins (or 20 Wheels of Rizk at 5 Free Spins a go depending on how you look at it). We have tweaked the wheel slightly recently to try to give a better spread of prizes and we will continue to do so and introduce other things on to the wheel to keep the experience interesting. Q: I never really checked so this is also directed to Rizk Rep here. How come the reward bar only add up the same no matter what betting level you are at? And I was doing spins yesterday regarding your UK promo with double speed and i still only went up like 0.82 percent a spin. Did not matter if betting 0.50 or £2 on Breakaway slot which is really disappointing. Also When I did starburst at only 0.10 bet it went up almost 1 percent or bit more???? CR: Over and above a certain bet level (approx. £0.30, ?0.40, 40NOK/SEK) the progress bar moves at the same speed irrespective of bet size. What changes is the prize that you are likely to win from the WoR, that is dependant upon your average bet over that level. Not sure about 0.10 Starburst spin – unless it was during a 2x speed happy hour – we certainly haven’t seen this behaviour before. Q: They could add more super spin and mega spin symbols to the wheel and make it fairer for those betting higher. But you don’t always bet the same amount to fill a bar to get the wheel. Maybe they couldn’t/can’t get that fix to work. Just not sure which one???.. Q: How do the raffle draws work to ensure fairness? CR: At the end of every week, all players with a raffle ID automatically had their Player IDs fed into a Random Number Generator, the RNG then produced a list of the winners who were then contacted by us ? assuming they hadn’t self excluded or closed their account in the meantime, if this had happened then the next player ID on the list took their place. Casinomeister Review on Rizk Casino to include current payout times. From there we strolled to the GiG offices that hosts Guts and Betspin. It was finally lunch time, and I was starved. I thought at first we’d be heading to some seaside restaurant, but I was pleasantly surprised with a different venue. We took the elevator up to the head office, and as we entered I could smell something delicious and heard the bustling of a small kitchen. And there we were in the cafeteria of GiG. It turns out that the entire staff is offered a free lunch daily in-house. Actually, it’s the CEO’s wife who at one time was a chef on a cruise line – she’s from Latin America – so you know there’s gonna be some good eats. Lunch consisted of a black bean dish, brown rice, and meaty stew of some kind (sorry, I’m a vegetarian) and plantains. What a treat! And way more healthier than grabbing a sandwich, or fast food, and sitting at your desk to eat. And even though it doesn’t seem like much, it underscores the family atmosphere of this company. You have a feeling that they genuinely care about one another. You could feel the positive vibe throughout the entire building – well at least on these three floors. After that awesome lunch, Yits the customer service manager, gave us a tour of their offices. You could sense both his pride and enthusiasm working for such a fantastic company. And I can honestly say hands down, it was one of the best company tours I’ve had, and I’ve been to a lot of companies. Even though the offices are great, it’s the positive attitude that shines throughout. From my experience working with both Guts and Betspin, I know that their business ethics are above par. My tour – and the discussions that I had with their staff pretty much firmed up my conviction that this is one of the best companies – if not the best – in the online gaming industry. Lest we forget, Guts Casino was the recipient of the Best Casino 2014 at Casinomeister – that is no minor accolade. Overall, I want to thank everyone who made this experience possible. I think that this was a brilliant idea – bringing a player to the office and showing him the man behind the curtain. But instead of a man standing at a few controls, there is a brilliant group of people who are doing an awesome job.